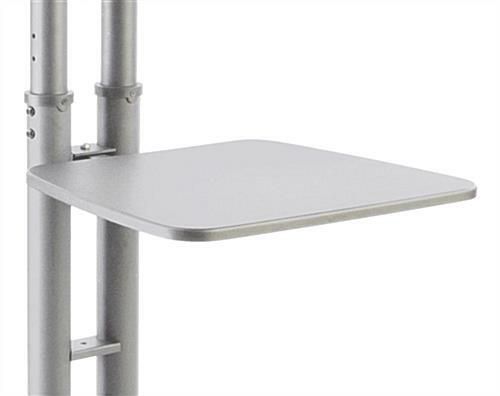 This silver shelf for TV stands can hold laptops and other accessories, making them great for both event and office use. 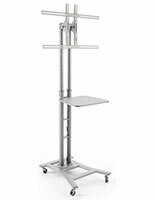 The shelving is compatible with the MBTV series of flat screen holders that can be found on this website. 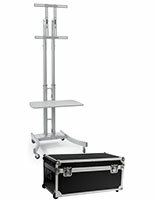 The black shelf is 19.5" wide, giving it ample storage space for merchandise samples, laptops and brochures. 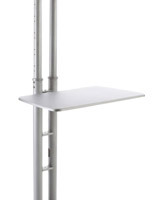 The shelving accessory is made of MDF and features wire clips that allow them to attach to flat screen displays. 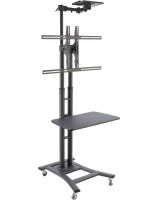 Each shelf can easily be installed with the included hardware and an Allen wrench. 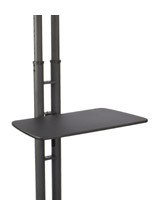 The storage panel is also available in black or with a 27.75" design.